Invoice history based on 39 reviews. 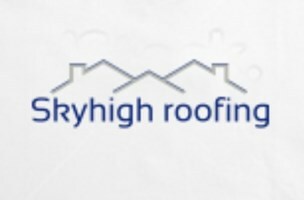 Skyhigh Roofing have been in business since 2011, and I have personally been roofing for 17 years. As a company we do all kinds of domestic and some commercial work, some of our clients are some well established letting agents but mainly our customer base has been domestic customers passed on via recommendation. Some of the works we carry out are listed below, some may have been missed so give as a call even if it’s not listed below and if we don’t deal with it personally we usually know someone who does. With any quote we are happy to go up and take pictures to show you the problem areas before work starts, then also take pictures of after so you can see it’s been done correctly. All quotes are free and we believe in a no pressure sell way of work so once we’ve gave you the quote we will leave it to you to get back in contact with us, rather than us calling you back etc.